iOS 11 Slows Down Your iPhone? iOS 12 Will Fix This! Apple Inc. has confirmed that the next iOS update to iOS, namely iOS 12, will allows users to turn off processor throttling and slowed performance in iPhone containing old battery. What an exciting news for those who updated their iPhones to 11.2.2 but yet found their iPhone is getting slow! 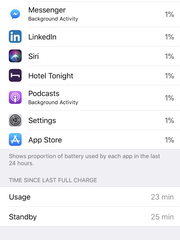 iPhone users have found battery drain issue as battery ages, especially iPhone battery on iOS 11. iOS 11 battery downs very fast from 100% full capacity to low battery status, which greatly shorten the usage time of an iPhone. Apple's upcoming iOS 12 in spring 2018 will allow users to manage battery as iOS 11.3 adds new features to show battery health and recommend if a battery needs to be serviced. 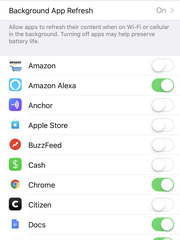 The feature can be found in Settings -> Battery and is available for iPhone 6 and later once users update to iOS 12. However, the new feature is for battery managing instead of battery fixing. Thus many people may ask what to do when facing iOS 11 battery drain. It is likely that some apps are running in the background after you update your iPhone to iOS 12. Thus it is necessary to check iPhone battery at the very beginning. Step 1: Go to Settings > Battery. Step 2: Scroll to the bottom where you can find Usage and Standby. Next to each, there is a time record that stands for iPhone usage time and iPhone standby time. Step 3: Normally Usage time should be much lower that Standby time. If not, you should do this: write down each time, lock the iPhone for five minutes, and recheck these two times. It is normal for a smartphone to run apps in background. Of course, the running of Apps consumes battery power a lot, which might be the primary cause for iOS 12 draining your iPhone battery life. Step 1: Go to Settings > General. Step 2: Scroll down to find Background App Refresh, and click it. Step 3: Customize which apps to refresh in the background by enabling the toggle to green. Location services greatly drain iPhone battery as well as the service uses GPS, Bluetooth, cell tower locations and crowd-sourced hot-spots to place your phone on a map. 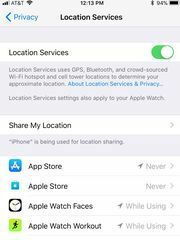 Step 1: Go to Settings > Privacy > Location Services. Step 2: Customize which apps you want spending that much effort on your location. Click an app, and choose "Never" or "While Using the App" under "ALLOW LOCATION ACCESS". Follow tips above, and worry iOS 12 battery down issue no more. As a matter of fact, the quickly draining iPhone battery can be caused by junk files in your iPhone, iPhone cache files, deleted iPhone files, etc. 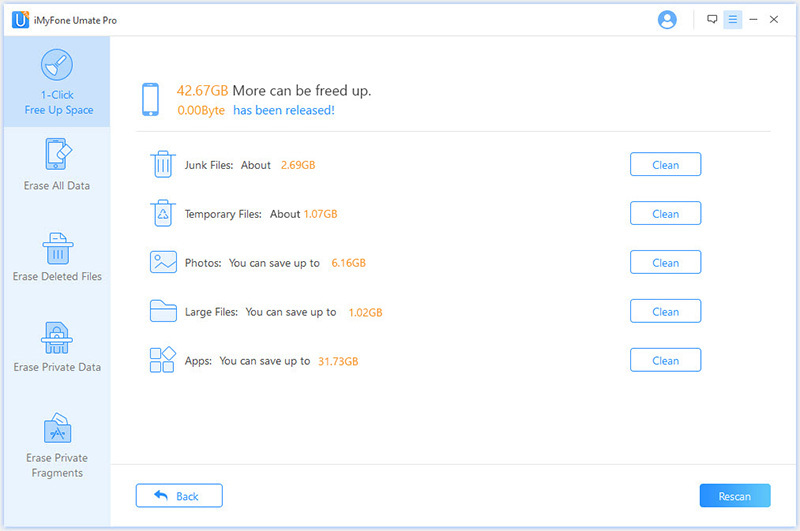 Those files are still residual in iPhone, and they will continue to consume iPhone batter. Therefore an effective method to improve iPhone battery performance is to permanently delete and erase these files from your iPhone. To improve iPhone battery performance by deleting and erasing iPhone junk files/cookies/caches/deleted files, you can use an iPhone space cleaner program. iMyFone Umate Pro is one of such iOS device space cleaning and data erasing programs. Highly praised as the world's No. 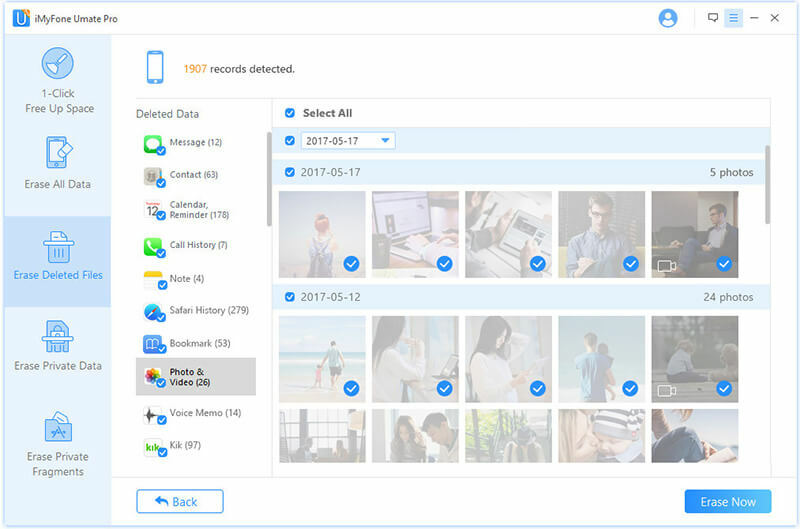 1 iPhone cleaner to free up space for iOS devices iPhone/iPad/iPod, iMyFone Umate Pro is able to clean and erase iPhone data in order to speed up iPhone. After files are permanently deleted, iPhone performance and iPhone battery performance will be greatly improved. One-click to free up space for iPhone to improve iPhone battery. 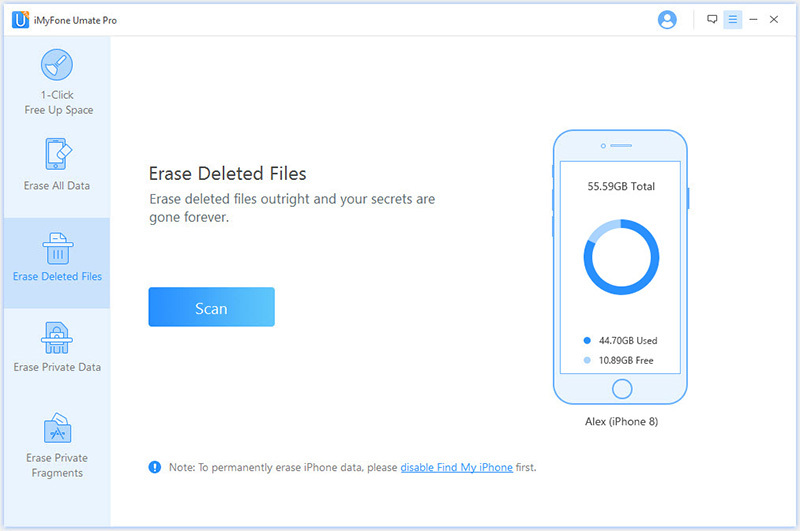 Erase and delete iPhone junk files for free permanently. Erase and delete apps caches, browsing caches to improve iPhone performance. 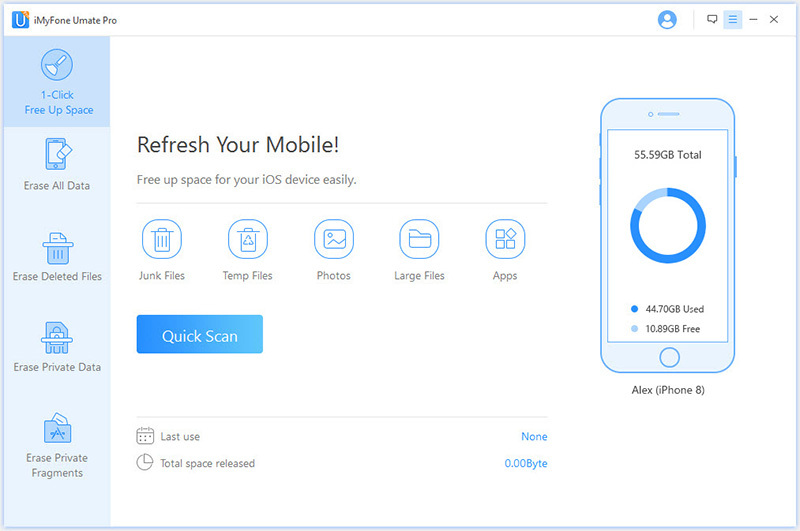 Enables you to scan and permanently erase deleted files to improve iPhone performance. Fully compatible with iOS 12. 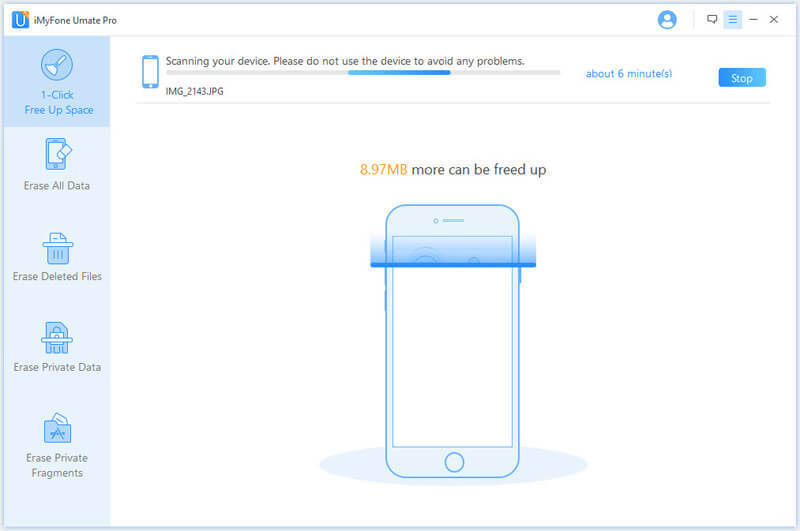 Download and install the right version of iMyFone Umate Pro on your computer, and follow the tips below to improve iPhone performance to get iOS 12 battery drain issue fixed. Junk files on your iPhone consume battery power of course. With many junk files on iPhone, your iPhone battery will drain very fast. Thus erasing junk files on iPhone is a good way to fix iPhone battery drain problem. Step 1: Launch iMyFone Umate, and connect iPhone with your computer. Step 2: Click "1-Click Free Up Space" at the left side bar, and click "Quick Scan" to scan junk files on your iPhone. Step 3: When scanning process completes, click "Clean" button next to "Junk Files" to erase junk files on your iPhone permanently to improve iPhone battery performance. Note: Cleaning junk files with iMyFone Umate is totally free. Like junk files, storing cache files on iPhone drains battery power as well. It is advisable to erase cache file on iPhone in order to improve iPhone battery performance. Cleaning cache files on iPhone is similar to erasing junk files on iPhone with iMyFone Umate Pro. The first two steps are the same while you need to click "Clean" button next to "Temporary File". Step 1: Same as step 1 in tips 1. Step 2: Same as step 2 in tips 1. Step 3: When scanning process completes, click "Clean" button next to "Temporary Files". If you think deleted files no longer exist on your iPhone, then think again. Deleted files will residue on your iPhone for a period time, until they are overwritten by other files. Keeping those deleted files on your iPhone memory also drains battery. Why not erase them forever to not only protect privacy, but also improve iPhone battery performance. Step 2: Click "Erase Deleted Files" at the left side bar, and click "Scan" to scan deleted files on your iPhone. Step 3: When scanning process completes, all types of deleted files will be showed in a list. Choose and check some or all for deletion, and click "Erase Now" to start erasure process. See? It is easy to delete junk files, caches files, and deleted files for improving iPhone battery performance so that iOS 12 battery down issue can be fixed.